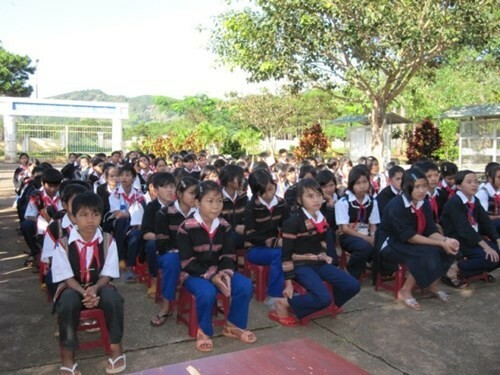 Last time, Gia Lai province has achieved outstanding results in the field of administrative reform (PAR). Gia Lai reporters have interviewed Mr. Vo Ngoc Thanh-Deputy Secretary of the provincial Party Committee and Chairman of a number of related content. * P.V: Please comrades, said the outstanding results of the provincial PAR? 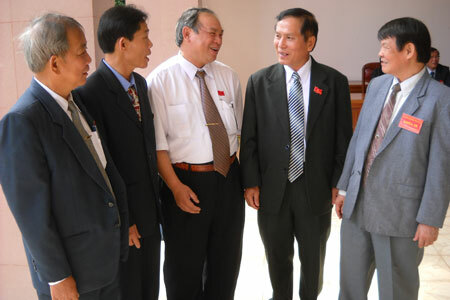 - Mr. VO NGOC THANH: Provincial Party Committee and Provincial People's Committee has directed PAR deployment and effective synchronization across 6 areas: institutional reform, administrative procedures (administrative procedures), the organization of state administrative apparatus , build and improve the quality of cadres, public servants, public finance reform and administrative modernization. Thus, the provincial PAR has multiple positive changes. Inspection, inspection is enhanced, contributing to improving the sense of responsibility of cadres and civil servants in the public service activities and workplace culture. Besides, the control of administrative procedures continue to be the departments and localities to strictly implement, has been much simplified administrative procedures, gradually reduce the settling time, create investment and business environment favorable to the people and businesses. At the same time, departments and localities have gradually improved implementation of OSS, a door towards modernization and efficiency. To date, the province has the administrative bodies 18/20 and 17/17 provincial-level divisions, 9 communal units deployed model "An electronic door" mechanism. The handling of the unit administrative procedure, the local public has been on the internet, connectivity, providing real-time information with the Portal International Electronic Government and leaders at all levels to help monitor and urge implementation and people can also track, reflects and comments. Proportion of administrative procedures for processing dossiers on time has increased substantially with more than 90%; civil servants participated has enhanced the sense of responsibility, cultural behavior and handle productivity tasks. * P.V: To continue the effective implementation of PAR activities in the coming period, the province will focus on the task of directing and solution-focussed, comrade? 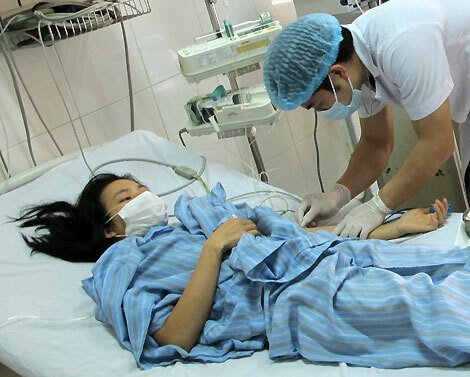 - Comrade Vo Ngoc Thanh: The levels, branches and localities in the province should clearly analyze shortcomings and limitations, which have effective remedial measures to make a positive change in direction, PAR operator. Focus synchronized deployment, comprehensive plan for the period 2016-2020 PAR of the province; building and effective implementation of administrative reform plan annually with key tasks, key, consistent with the roadmap of the province and the specific conditions of each agency, local, tied to clearly defined specific responsibilities of individuals, agencies, units and heads of administrative agencies at all levels. Develop staff and civil servants are required to meet increasingly high PAR in the new period. Check the performance of discipline and administrative discipline, strictly implement the responsibility to handle individual and joint responsibility for the head if the occurrence of cadres and civil servants under the authority directly with behavior causing harassment or troubles in receiving and resolving administrative procedures for citizens and businesses. Mounting PAR performance with consideration of emulation and commendation and evaluate the degree of completion of each agency missions, units, local and public servants. Continue to check, arrangement, consolidation of the organizational structure of professional agencies under the People's Committees of provinces and districts, attached to effectively implement the scheme downsizing and restructuring of staff, public servants as prescribed. Step up the implementation of institutional reform, administrative reform, removing barriers, cumbersome procedures, removal of inappropriate sublicense, shortening and increased interoperability in resolving administrative procedures to make lips favorable to the people, businesses, promote production and business. Effective implementation of OSS, OSS in state administrative bodies at the local, replicable model of "one-stop e" at communal levels and improved models at the district, provincial . Continue to promote the application of information technology in the operation of state administrative agencies and public service providers, to ensure effective, timely, open and transparent, the quality of the people settling administrative procedures , enterprise.